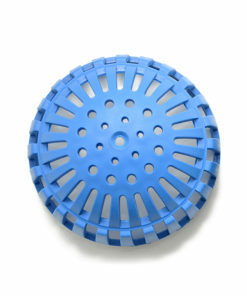 The Low Pro Locking Dome Strainer is the ultimate strainer for floor sinks and mop sinks! This strainer blocks debris while providing ample surface area for liquids to drain regardless of the amount of debris in your floor sink or mop sink. Each kit includes two gaskets to ensure a proper fit across various applications. 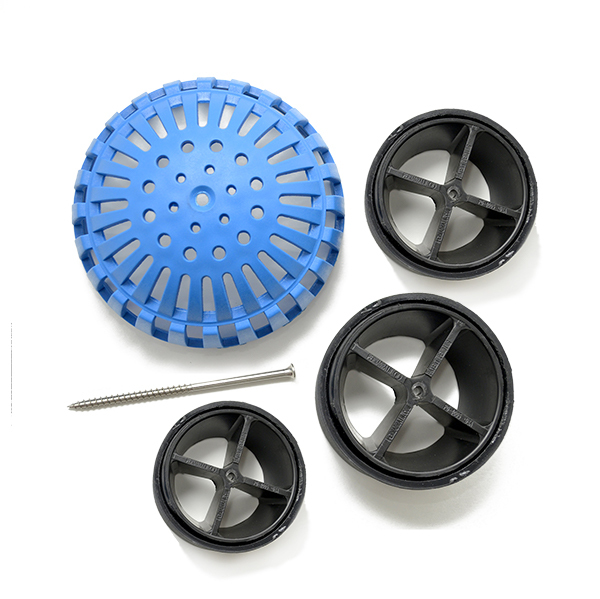 PermaDrain’s Low Pro Locking Dome Strainer Kit includes a Cross Strainer, a Low Pro Dome Strainer, and one high security, stainless steel screw with a T#27 high security insert bit. Use the high security bit to anchor the Low Pro strainer to the Cross Strainer. 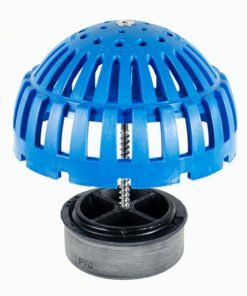 Unlike many other dome strainers, the PermaDrain Low Pro Dome Strainer features a much slimmer profile. The Low Pro design provides more clearance above the dome, allowing it to fit in areas where a traditional dome strainer would not. PermaDrain’s Low Pro design is a better alternative for protecting trench drains and floor sinks where grate covers are required to prevent trip hazards. 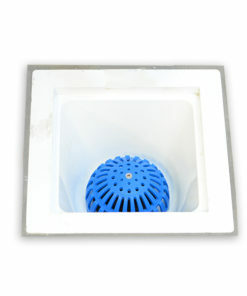 PermaDrain’s Low Pro Dome also perfectly protects mop sinks. 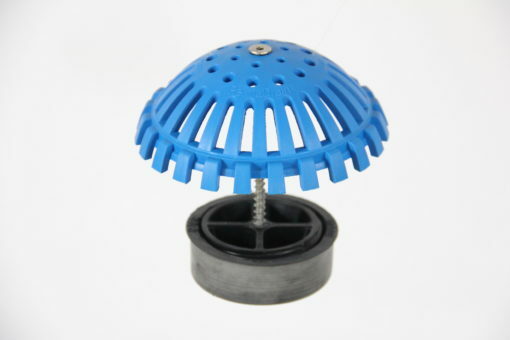 The Low Pro dome replaces flat strainers that employees often remove and discard. Mop sinks pose a great risk of accepting foreign debris such as plastic bags, latex gloves, and other items. Kitchen staff often use the mop sink as an area to store trash before discarding in the dumpster. This practices raises the risk of an emergency drain line obstruction significantly. 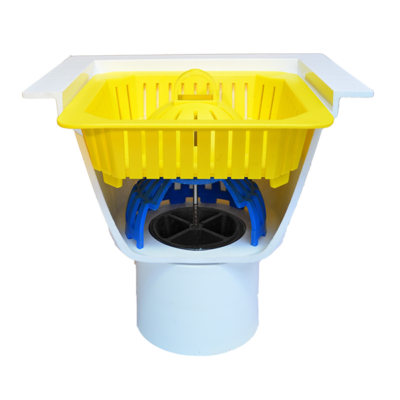 Installing PermaDrain’s Low Pro Locking Dome Strainer will give you the piece of mind knowing that your mop sink remains protected at all times. Help maintain your operating profit margin by eliminating emergency drain line obstructions. Don’t forget to protect that mop sink! Click here and see why. 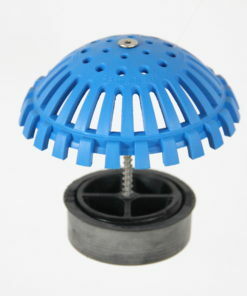 The Low Pro Locking Dome Strainer works best when used with our Safety Basket. 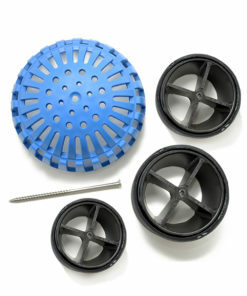 Choose PermaDrain’s Low Pro design when protecting more shallow, PVC floor sinks and mop sinks.